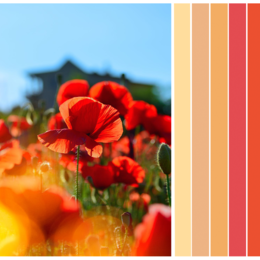 As summer heats up, the exterior of homes and buildings come back into focus. 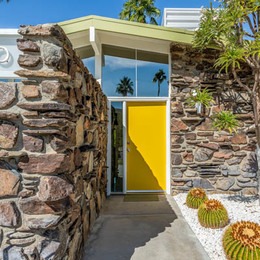 Key to the design of a home or building is the architectural style and --- with this in mind -- a proper color scheme can be used to make it stand out. 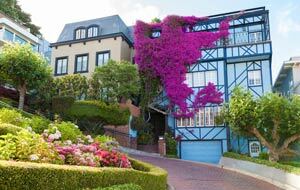 As a refresher course on architectural styles, we first revisit the Victorian Era of architecture that is showcased prominently in San Francisco and other Southwestern U.S. cities and towns. 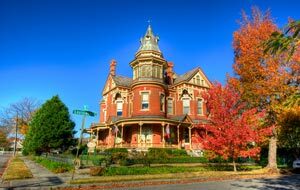 During the American Industrial Revolution, the Victorian Era of architecture sprouted up throughout the United States. From 1837 to 1900, the availability of mass-produced items made elaborate architectural details easier to utilize on homes and commercial structures. 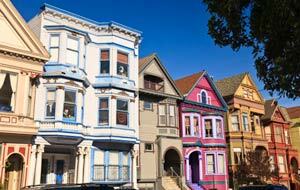 "Elaborate", "colorful" and "bold" describe many of these Victorian Era homes. Greek Revival: drawing Ancient Greece as inspiration, architects designed in the popular Grecian style with it classic clapboard siding and bold, simple lines. 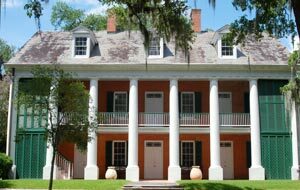 And colonnaded Greek Revival mansions, also called Colonial homes, were popular as plantation homes and estates. Characteristics included symmetrical shapes, bold and simple moldings, heavy cornices and wide friezes. 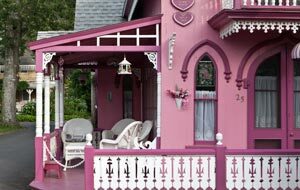 Gothic Revival: commonly referred to as “gingerbread” houses. 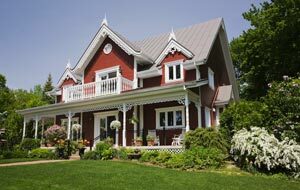 Inspired by the homes in Europe, these homes have steep pitched rooflines and pointed windows and other architectural elements from the Middle Ages such as pinnacles, parapets, leaded glass windows with decorative ornamentation, and clover-shaped windows. 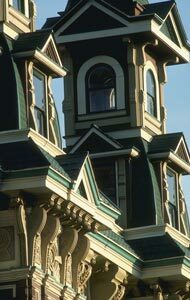 Italianate: a combination of Federal and Victorian era architecture. 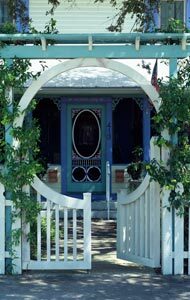 These homes have arched windows, symmetrical facades, elaborate porches, low rooflines and decorative eaves. Overall, these houses also feel inspired by Italian Renaissance villas. square tower or cupola, sometimes referred to as "Tuscan"
Second Empire: inspired by architecturally ornate details of Paris and also known as the Mansard Style. 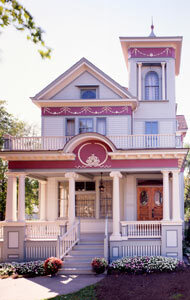 Similar to the Italianate style with its boxy shape, Second Empire styles include square or rectangular floor plans, double entry doors, dormer windows, Mansard rooflines and facades that are tall and flat. 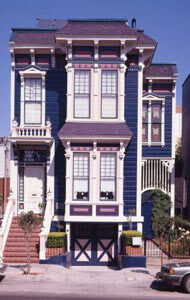 house featured in Alfred Hitchcock's "Psycho"
Stick-Eastlake: as implied, Stick-style Victorian Era homes are decorated with intricate stickwork and half-timbering. 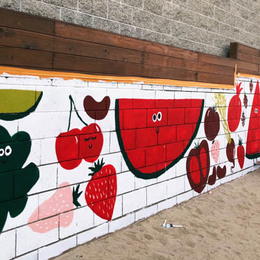 These boards create intricate horizontal, vertical and diagonal patterns. Beyond this detail, Stick-style homes are fairly simple with little to no extra ornamentation. 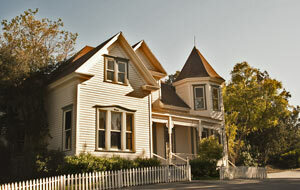 Eastlake homes were named after furniture designer Charles Eastlake and featured more decoration. The two styles merged to become "Stick-Eastlake". 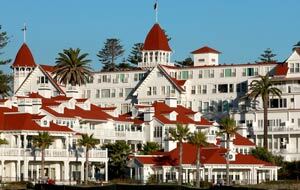 Shingle: often found in coastal areas, Shingle-style homes are large and simple structures. These large and informal homes were typically built for the wealthy as summer vacation homes. 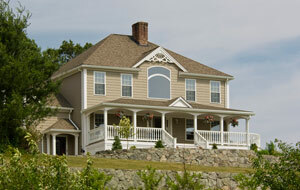 The predominant feature on these homes is the use of wooden shingles as siding. 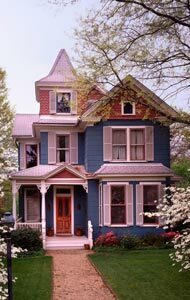 Folk Victorian: a generic, vernacular Victorian Era style of architecture. These homes merged the American homestead and English cottage and were typically found in rural or country settings. 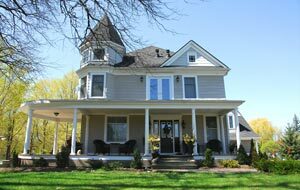 These farmhouses combined functionality with ornamentation and many included wrap-around porches. 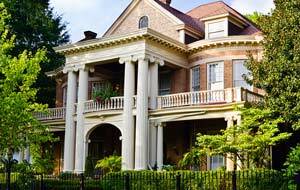 Queen Anne: influenced by English architect Richard Norman Shaw who combined English cottages with Victorian Era styling. 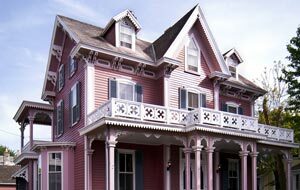 - wide selection of exterior colors. 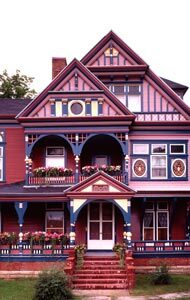 Victorian Era color schemes highlight the intricacies of all the architectural elements that go into creating these homes and buildings. 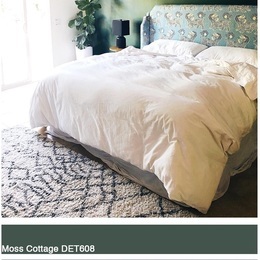 Here are 12 color schemes inspired by the Victorian Era in order of body color, trim and accents.